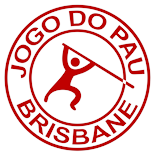 Jogo do Pau Brisbane is a Brisbane based study group within Collegium in Armis practicing the traditional Portuguese staff fencing art of Jogo do Pau. We practice a modern style of Jogo do Pau (or Lusitan Fencing as it is also known) using the training materials and long-distance guidance of Mestre Luis Preto, a student of renowned Portuguese Mestre Nuno Corvello Russo. Provided the weather is fine, weekly Jogo do Pau training is held outdoors on weekends in Boondall, Queensland. If you are interested in learning more or trying Jogo do Pau out for yourself, and you are 18 years of age or more, email us at jdpbne(at)gmail.com.